I re-stocked our empty fridge the night we came home. It makes for a pretty hefty tab, but starting fresh feels so good. We are both in the mood for lighter fare after eating out so much (and in anticipation of a few work trips this month). 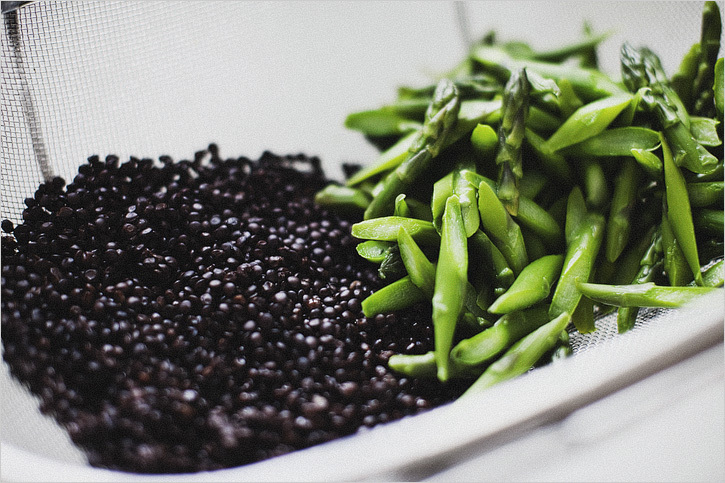 In order to keep from salad burn out, I've been big-batching indoor grilled vegetables to have at the ready (you could very well use an outdoor grill, but ours is charcoal and I'm not up for that whole process quite yet). The sauce is the kind of thing I like keeping a big jar of in the fridge. I make more than I need and repurpose it through the week. It makes an excellent sandwich spread, tossed with noodles and tofu, or warmed grains. We had it on eggs or put a schmear under some avocado toast. I thin it with more citrus for an easy salad dressing. Clearly I like it and the recipe makes a generous amount. I haven't used pepitas in awhile and forgot what a wonderful flavor and crunch they have. 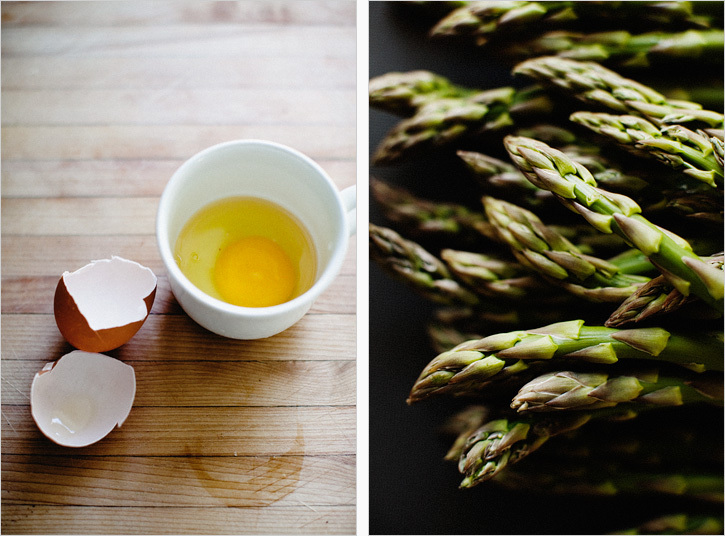 Cheers to Spring produce. I welcome you. The given recipe will give you a full 16 oz. jar worth of sauce. Maybe that sounds like a lot to you, feel free to half it. 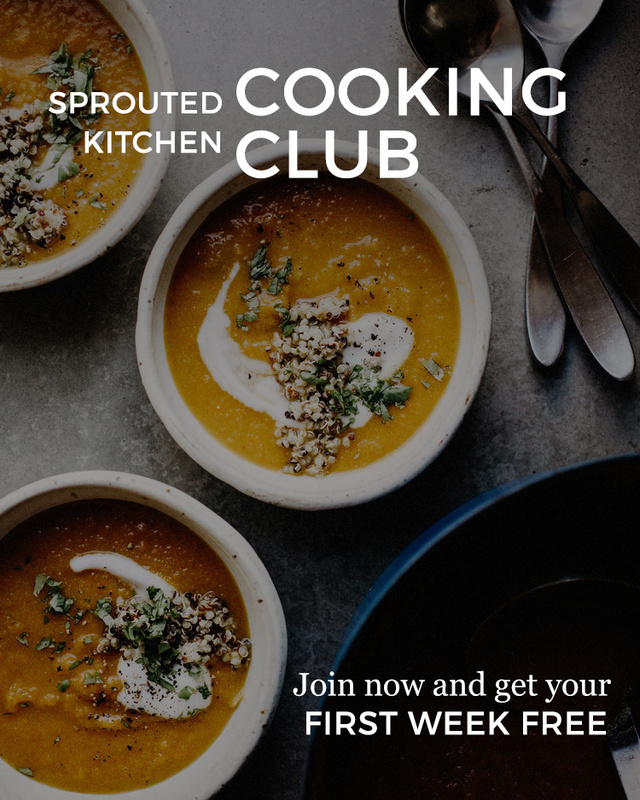 I mention other uses above and when the weeks are busy, I am grateful to have something tasty to jazz up simple meals. It doesn't have any dairy in it so I believe it would freeze well, even in ice cube trays, for later use. Heat your grill, or indoor grill, over medium heat. 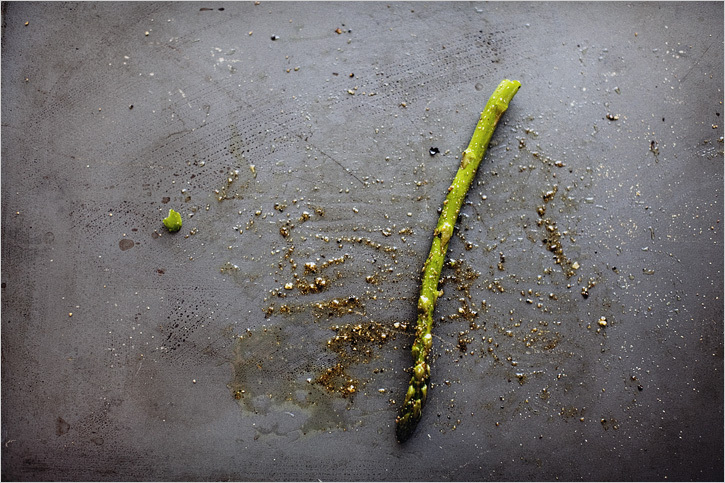 Cut off the dry bits of the asparagus and use a vegetable peeler to gently shave the end stalks. 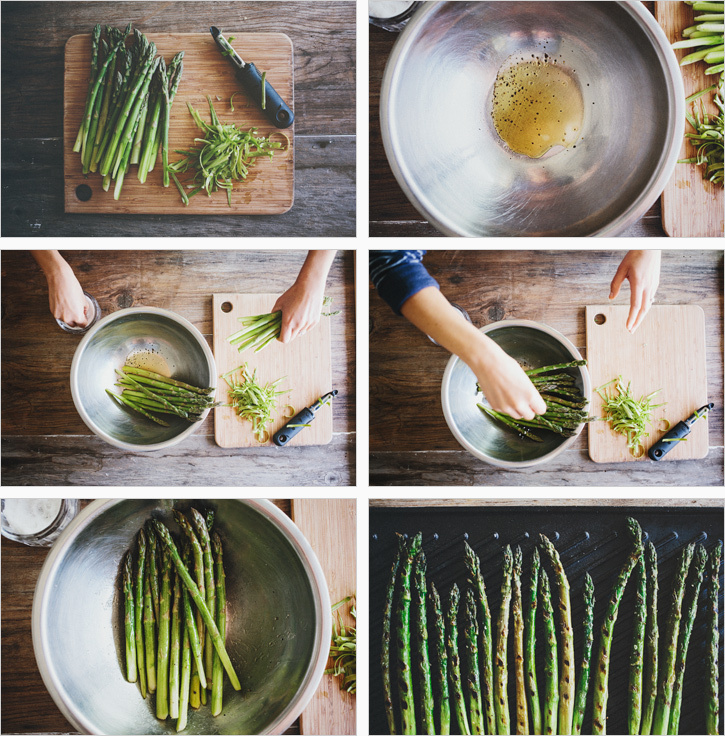 Toss the asparagus in the olive oil and a few pinches of salt and pepper. Grill the asparagus, covered, turning a few times, for about 7-9 minutes. Time will vary based on thickness of the stalks. I like mine on the snappy side. 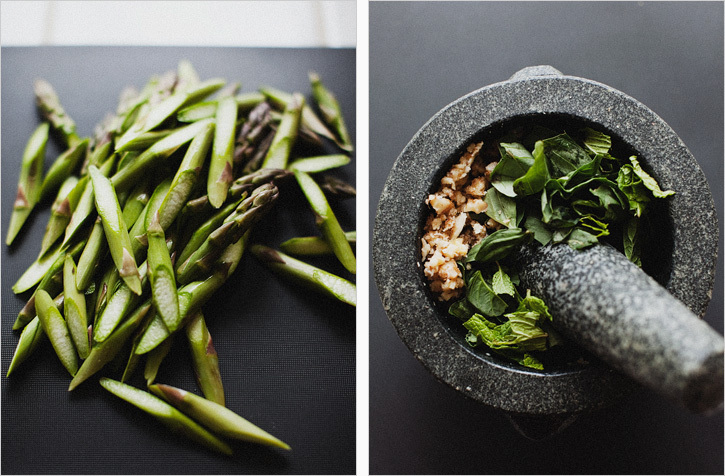 To make the pesto, pulse the garlic, toasted pepitas and sea salt in a food processor to chop. Add the jalepeno, chipotle, cilantro and lime juice and run the processor to combine. With the motor running, drizzle in the olive olive and a splash of water. Taste and adjust as you wish. Add more chipotle for heat, citrus juice and/or salt to brighten it, water if you prefer it thinner. 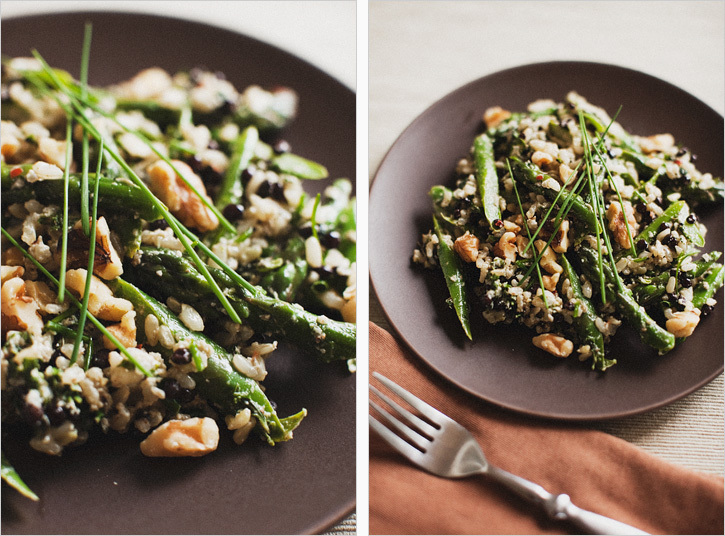 Serve the asparagus on a generous pillow of the cilantro pesto. Garnish with the minced red onion and toasted pepitas. Serve warm or at room temperature. She really is a character all of her own. My mom doesn't really fit a stereotype, so I'm at a loss of trying to put her in a box for you. She was the mom who took us running through golf course sprinklers, and drove the getaway car for my boy crazy girlfriends when we'd go toliet papering in high school. She dressed my sister and I up in her old clothes, and sent us out to make mud pies when the backyard was a mess after the rain. I mean pies actually made from mud- she's never been much for cooking, but she makes up for that in how fun she is. I may not have recipes for 'mom's biscuits', but I have vivid memories of my mom starting the dance party with paper plates as props at my first boy/girl party. I mean, anyone can find a biscuit recipe, but only my mom can party with plates. I was her cautious child, and she always tried to loosen me up... she still does, actually. There is that cliche that says 'you don't understand the depth of a mother's love, until you have children of your own'. I'm sure this is true, but my mom has made her love crystal clear to us. It is deep, really deep, and I know this from her actions. You can say 'i love you' a trillion times, but it's my late night teary phone calls, the articles she sends me in the mail, or helping me plant my herb garden that speak louder than words. And just because someone doesn't like to cook, doesn't mean they don't like to eat, and my mom loves things with sauce. Food is just her vehicle for more sauce. This is a great mothers day brunch idea. I was inspired by a sauce recipe I found in the Golden Door Cooks at Home Cookbook. It blends up so quickly and tastes lighter than the typical hollandaise you find on an eggs benedict. As soon as you crack the yolk, it marries the bell pepper sauce and serves as the perfect dipping agent for the rest of the stack. If you are not one for poached eggs, you could substitute a fried egg or even a heap of scrambled eggs as an alternative. Experiment with whatever vegetables you have, as I imagine any sauteed green could be used instead of spinach or some caramelized onions or leeks would be wonderful too. For the record: A. This is my new favorite breakfast and B. I love you, Mom. The sauce recipe is written using jarred roasted peppers. The yellow ones make a sauce that most resembles hollandaise. When bell peppers are sweet and in season near you, I am sure the flavor would be exceptional if you roasted them yourself. Though jarred will save you time regardless of the season. If you don't care for goat cheese, you could use cream cheese instead. 1. Start with the sauce. Warm the milk in the microwave for about 30 seconds. 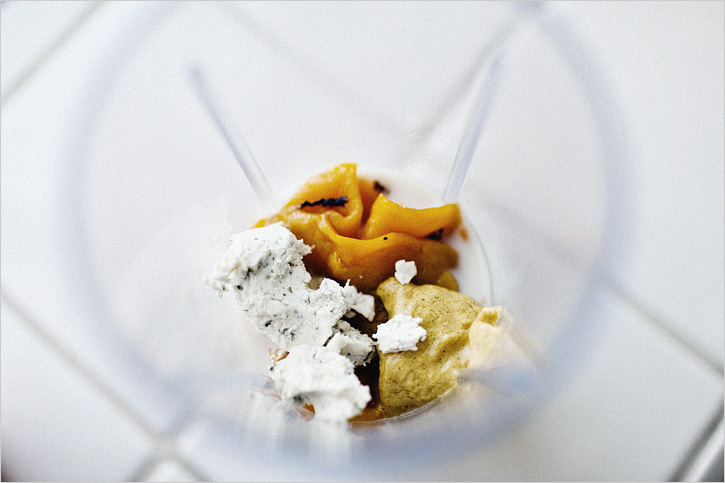 In a blender or food processor, combine the warm milk, goat cheese, mustard, lemon juice and the drained roasted bell peppers. Blend until smooth. Cover and set aside. 2. Warm the olive oil in the pan, add the fresh spinach and lemon zest and saute until just wilted. Turn off the heat and let it sit, it will stay warm enough while you finish everything else. 3. 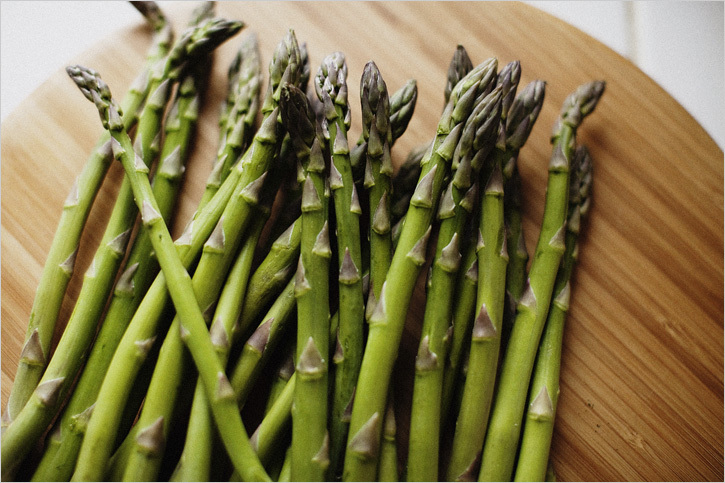 Toss the asparagus with a bit of olive oil, garlic salt and some fresh ground pepper. Put in the upper third of the oven for 8 minutes (this all depends on the thickness of your asparagus, alter your timing to get tender but not soggy spears). 4. Bring one quart water + 1 Tbsp. vinegar to a boil, then down to a simmer. This is your egg poaching liquid, there are good directions on how to poach eggs here. If you are doing them one at a time, you can keep them in a bowl with some of the warm poaching liquid until ready to use. 5. Toast the english muffins and get ready to go. 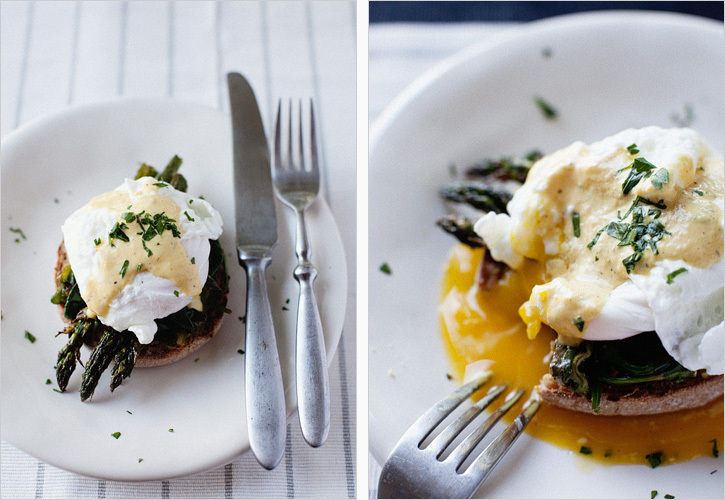 Toasted muff+spoonful of sauce+sauteed spinach+asparagus spears, halved+poached egg+another spoonful or sauce+maybe a lovely fruit salad on the side=perfection.